When a game represents one of your favourite franchises you cannot help but get excited, but quite quickly that excitement wavers as you fear they may not have done it justice. With Upper Deck holding the reins I was feeling quietly confident though. I’ve thoroughly enjoyed both Marvel and Alien Legendary in the past so was giddy to see how they applied the Legendary formula to Buffy the Vampire Slayer. Thanks to the magic of Spotify I swiftly found a Buffy playlist and sent myself back the the late 90s. Whilst looking through the cards which are made up of stills taken from the show*, I was transported back to a lively pub in South London and once again surrounded by lace, leather and fangs. A pub full of like-minded and suitably dressed people eager to watch the latest episodes of Buffy and Angel as they were streamed live from the US of A - It felt awesome! *I think the artwork here will get a mixed response. It would have been nice to see some fresh new art, after all Dark Horse have produced some fantastic Buffy comics over the years. Yet the stills from the show did a great job of stirring up the nostalgia pot. I’d say for fans it works well, but for those that know little or nothing of Buffy, it may be less appealing. Following the “Your first game set up“ was a straightforward process and on the whole, I found the rule book generally easy to follow. It does take a little while to set up first time around, but like most games, the more you play the quicker you get, especially when you no longer need to reference the rule book. 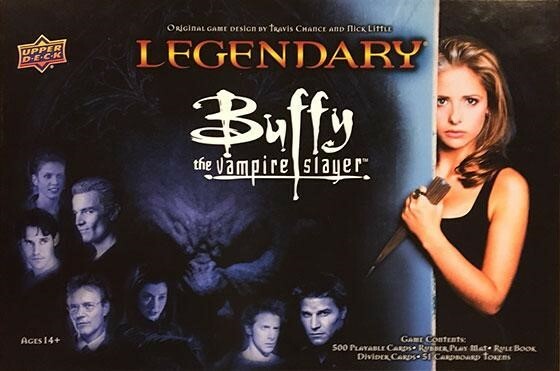 As you would expect, the whole gang is here from Buffy to Xander, each of them bringing their own tailored usefulness to the table, a crucial factor when deciding which five you want in your team for a particular mission - Combining cards to get the maximum effectiveness is a key part of the Legendary system, and to be expected, there are enough characters and combinations on offer to suit a variety of play styles. The mission? To put a stop to the Big Bad’s nefarious Scheme and save Sunnydale! Each Big Bad is a classic enemy from the show complete with appropriately themed henchmen. Whilst each of them have their own particular flavour of evil to inflict upon you, it is paramount that you do not let them complete their Scheme, as this will spell certain doom for Sunnydale (and end your game prematurely). Schemes are not tied to any particular Big Bad and there’s some flexibility with which henchman can be used too, so you can really mix up the experience with each play through. In its simplest sense, each turn you reveal a card from the Hellmouth which will bring more henchmen into play or activates the Big Bad. Then you get to use the cards in your hand to buy more teammates into your deck, take out some henchmen or knock the Big Bad down a peg, all of which may require you to be clever with the order you play your cards, as you’ll want to ensure you get the most out of any available combos or special abilities. 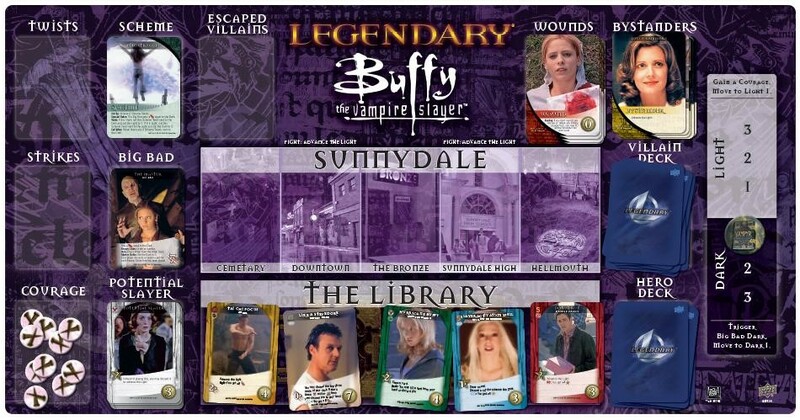 In addition to this, Legendary Buffy makes the use of a Light and Dark slider plus the addition of courage tokens. Courage tokens can be used to help you win fights or increase your Light standing. The Light and Dark slider adds a nice thematic element to the gameplay, a multitude of things can swing your Light / Dark standing. Generally being in the Light is good, whilst letting Sunnydale sink into darkness will benefit the Big Bad - Which ubersucks. Upper Deck have done a great job at capturing the essence of the series. As a fan I think there is a lot to like and you’ll no doubt be saying things like, “What’s the Sitch?“, “Don’t wig out” and “Have a nice day, don’t get killed” in no time at all. If you're not a fan of the show, it’s still a well-structured deck builder that offers a lot of replayability and challenging gameplay, but the theme might leave you wanting. 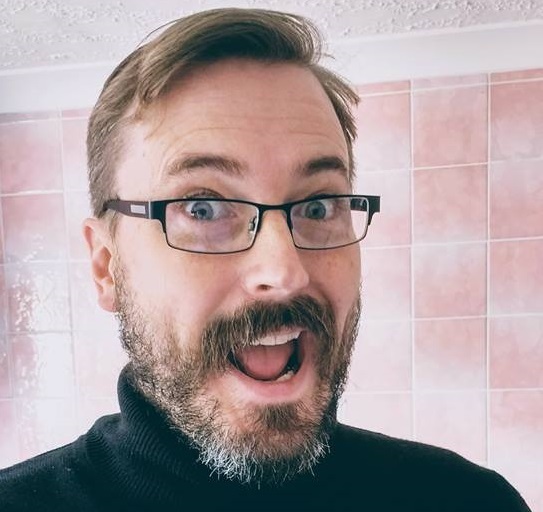 Robbie Munn is a designer of board games, game components/upgrades, a big DC comics fan, a photographer and a general maker of things of all things excellent. He joined Emotionally14 in 2018 after a brief tenure with Suppressing Fire. You can find out more about his board game creation, "Summoner's Isle" Here!